Historically, manganese is named for pyrolusite and other black minerals from the region of Magnesia in Greece, which also gave its name to magnesium and the iron ore magnetite. By the mid-18th century, Swedish-German chemist Carl Wilhelm Scheele had used pyrolusite to produce chlorine. Scheele and others were aware that pyrolusite (now known to be manganese dioxide) contained a new element, but they were unable to isolate it. 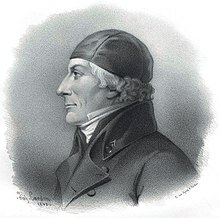 Johan Gottlieb Gahn was the first to isolate an impure sample of manganese metal in 1774, which he did by reducing the dioxide with carbon. In biology, manganese(II) ions function as cofactors for a large variety of enzymes with many functions. Manganese enzymes are particularly essential in detoxification of superoxide free radicals in organisms that must deal with elemental oxygen. Manganese also functions in the oxygen-evolving complex of photosynthetic plants. While the element is a required trace mineral for all known living organisms, it also acts as a neurotoxin in larger amounts. Especially through inhalation, it can cause manganism, a condition in mammals leading to neurological damage that is sometimes irreversible. Naturally occurring manganese is composed of one stable isotope, 55Mn. Eighteen radioisotopes have been isolated and described, ranging in atomic weight from 46 u (46Mn) to 65 u (65Mn). The most stable are 53Mn with a half-life of 3.7 million years, 54Mn with a half-life of 312.3 days, and 52Mn with a half-life of 5.591 days. All of the remaining radioactive isotopes have half-lives of less than three hours, and the majority of less than one minute. The primary decay mode before the most abundant stable isotope, 55Mn, is electron capture and the primary mode after is beta decay. Manganese also has three meta states. Manganese is part of the iron group of elements, which are thought to be synthesized in large stars shortly before the supernova explosion. 53Mn decays to 53Cr with a half-life of 3.7 million years. Because of its relatively short half-life, 53Mn is relatively rare, produced by cosmic rays impact on iron. Manganese isotopic contents are typically combined with chromium isotopic contents and have found application in isotope geology and radiometric dating. Mn–Cr isotopic ratios reinforce the evidence from 26Al and 107Pd for the early history of the solar system. Variations in 53Cr/52Cr and Mn/Cr ratios from several meteorites suggest an initial 53Mn/55Mn ratio, which indicates that Mn–Cr isotopic composition must result from in situ decay of 53Mn in differentiated planetary bodies. Hence, 53Mn provides additional evidence for nucleosynthetic processes immediately before coalescence of the solar system. The most common oxidation states of manganese are +2, +3, +4, +6, and +7, though all oxidation states from −3 to +7 have been observed. Mn2+ often competes with Mg2+ in biological systems. Manganese compounds where manganese is in oxidation state +7, which are mostly restricted to the unstable oxide Mn2O7, compounds of the intensely purple permanganate anion MnO4−, and a few oxyhalides (MnO3F and MnO3Cl), are powerful oxidizing agents. Compounds with oxidation states +5 (blue) and +6 (green) are strong oxidizing agents and are vulnerable to disproportionation. The most stable oxidation state for manganese is +2, which has a pale pink color, and many manganese(II) compounds are known, such as manganese(II) sulfate (MnSO4) and manganese(II) chloride (MnCl2). This oxidation state is also seen in the mineral rhodochrosite (manganese(II) carbonate). Manganese(II) most commonly exists with a high spin, S = 5/2 ground state because of the high pairing energy for manganese(II). However, there are a few examples of low-spin, S =1/2 manganese(II). There are no spin-allowed d–d transitions in manganese(II), explaining why manganese(II) compounds are typically pale to colorless. The oxidation state +5 can be produced by dissolving manganese dioxide in molten sodium nitrite. 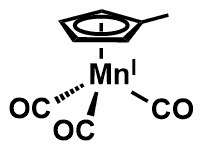 Manganate (VI) salts can be produced by dissolving Mn compounds, such as manganese dioxide, in molten alkali while exposed to air. Permanganate (+7 oxidation state) compounds are purple, and can give glass a violet color. Potassium permanganate, sodium permanganate, and barium permanganate are all potent oxidizers. Potassium permanganate, also called Condy's crystals, is a commonly used laboratory reagent because of its oxidizing properties; it is used as a topical medicine (for example, in the treatment of fish diseases). Solutions of potassium permanganate were among the first stains and fixatives to be used in the preparation of biological cells and tissues for electron microscopy. The origin of the name manganese is complex. In ancient times, two black minerals from Magnesia (located within modern Greece) were both called magnes from their place of origin, but differed in gender. The masculine magnes attracted iron, and was the iron ore now known as lodestone or magnetite, and which probably gave us the term magnet. The feminine magnes ore did not attract iron, but was used to decolorize glass. This feminine magnes was later called magnesia, known now in modern times as pyrolusite or manganese dioxide. Neither this mineral nor elemental manganese is magnetic. In the 16th century, manganese dioxide was called manganesum (note the two Ns instead of one) by glassmakers, possibly as a corruption and concatenation of two words, since alchemists and glassmakers eventually had to differentiate a magnesia negra (the black ore) from magnesia alba (a white ore, also from Magnesia, also useful in glassmaking). Michele Mercati called magnesia negra manganesa, and finally the metal isolated from it became known as manganese (German: Mangan). The name magnesia eventually was then used to refer only to the white magnesia alba (magnesium oxide), which provided the name magnesium for the free element when it was isolated much later. Several colorful oxides of manganese, for example manganese dioxide, are abundant in nature and have been used as pigments since the Stone Age. The cave paintings in Gargas that are 30,000 to 24,000 years old contain manganese pigments. Manganese compounds were used by Egyptian and Roman glassmakers, either to add to, or remove color from glass. Use as "glassmakers soap" continued through the Middle Ages until modern times and is evident in 14th-century glass from Venice. Because it was used in glassmaking, manganese dioxide was available for experiments by alchemists, the first chemists. Ignatius Gottfried Kaim (1770) and Johann Glauber (17th century) discovered that manganese dioxide could be converted to permanganate, a useful laboratory reagent. By the mid-18th century, the Swedish chemist Carl Wilhelm Scheele used manganese dioxide to produce chlorine. First, hydrochloric acid, or a mixture of dilute sulfuric acid and sodium chloride was made to react with manganese dioxide, later hydrochloric acid from the Leblanc process was used and the manganese dioxide was recycled by the Weldon process. The production of chlorine and hypochlorite bleaching agents was a large consumer of manganese ores. The manganese content of some iron ores used in Greece led to speculations that steel produced from that ore contains additional manganese, making the Spartan steel exceptionally hard. Around the beginning of the 19th century, manganese was used in steelmaking and several patents were granted. In 1816, it was documented that iron alloyed with manganese was harder but not more brittle. In 1837, British academic James Couper noted an association between miners' heavy exposure to manganese with a form of Parkinson's disease. In 1912, United States patents were granted for protecting firearms against rust and corrosion with manganese phosphate electrochemical conversion coatings, and the process has seen widespread use ever since. The invention of the Leclanché cell in 1866 and the subsequent improvement of batteries containing manganese dioxide as cathodic depolarizer increased the demand for manganese dioxide. Until the development of batteries with nickel-cadmium and lithium, most batteries contained manganese. The zinc-carbon battery and the alkaline battery normally use industrially produced manganese dioxide because naturally occurring manganese dioxide contains impurities. In the 20th century, manganese dioxide was widely used as the cathodic for commercial disposable dry batteries of both the standard (zinc-carbon) and alkaline types. Manganese comprises about 1000 ppm (0.1%) of the Earth's crust, the 12th most abundant of the crust's elements. Soil contains 7–9000 ppm of manganese with an average of 440 ppm. Seawater has only 10 ppm manganese and the atmosphere contains 0.01 µg/m3. Manganese occurs principally as pyrolusite (MnO2), braunite, (Mn2+Mn3+6)(SiO12), psilomelane (Ba,H2O)2Mn5O10, and to a lesser extent as rhodochrosite (MnCO3). The most important manganese ore is pyrolusite (MnO2). Other economically important manganese ores usually show a close spatial relation to the iron ores. Land-based resources are large but irregularly distributed. About 80% of the known world manganese resources are in South Africa; other important manganese deposits are in Ukraine, Australia, India, China, Gabon and Brazil. According to 1978 estimate, the ocean floor has 500 billion tons of manganese nodules. Attempts to find economically viable methods of harvesting manganese nodules were abandoned in the 1970s. The CIA once used mining manganese modules on the ocean floor as a cover story for recovering a sunken Soviet submarine. In South Africa, most identified deposits are located near Hotazel in the Northern Cape Province, with a 2011 estimate of 15 billion tons. In 2011 South Africa produced 3.4 million tons, topping all other nations. Manganese is mainly mined in South Africa, Australia, China, Gabon, Brazil, India, Kazakhstan, Ghana, Ukraine and Malaysia. US Import Sources (1998–2001): Manganese ore: Gabon, 70%; South Africa, 10%; Australia, 9%; Mexico, 5%; and other, 6%. Ferromanganese: South Africa, 47%; France, 22%; Mexico, 8%; Australia, 8%; and other, 15%. Manganese contained in all manganese imports: South Africa, 31%; Gabon, 21%; Australia, 13%; Mexico, 8%; and other, 27%. 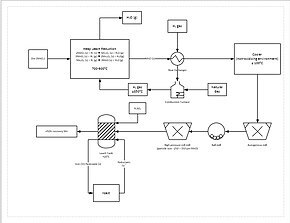 A more progressive extraction process involves directly reducing manganese ore in a heap leach. This is done by percolating natural gas through the bottom of the heap; the natural gas provides the heat (needs to be at least 850 °C) and the reducing agent (carbon monoxide). This reduces all of the manganese ore to manganese oxide (MnO), which is a leachable form. The ore then travels through a grinding circuit to reduce the particle size of the ore to between 150–250 μm, increasing the surface area to aid leaching. The ore is then added to a leach tank of sulfuric acid and ferrous iron (Fe2+) in a 1.6:1 ratio. The iron reacts with the manganese dioxide to form iron hydroxide and elemental manganese. This process yields approximately 92% recovery of the manganese. For further purification, the manganese can then be sent to an electrowinning facility. In 1972 the CIA's Project Azorian, through billionaire Howard Hughes, commissioned the ship Hughes Glomar Explorer with the cover story of harvesting manganese nodules from the sea floor. That triggered a rush of activity to collect manganese nodules, which was not actually practical. The real mission of Hughes Glomar Explorer was to raise a sunken Soviet submarine, the K-129, with the goal of retrieving Soviet code books. Manganese has no satisfactory substitute in its major applications in metallurgy. In minor applications, (e.g., manganese phosphating), zinc and sometimes vanadium are viable substitutes. Manganese is essential to iron and steel production by virtue of its sulfur-fixing, deoxidizing, and alloying properties, as first recognized by the British metallurgist Robert Forester Mushet (1811–1891) who, in 1856, introduced the element, in the form of Spiegeleisen, into steel for the specific purpose of removing excess dissolved oxygen, sulfur, and phosphorus in order to improve its malleability. Steelmaking, including its ironmaking component, has accounted for most manganese demand, presently in the range of 85% to 90% of the total demand. Manganese is a key component of low-cost stainless steel. Often ferromanganese (usually about 80% manganese) is the intermediate in modern processes. Small amounts of manganese improve the workability of steel at high temperatures by forming a high-melting sulfide and preventing the formation of a liquid iron sulfide at the grain boundaries. If the manganese content reaches 4%, the embrittlement of the steel becomes a dominant feature. The embrittlement decreases at higher manganese concentrations and reaches an acceptable level at 8%. Steel containing 8 to 15% of manganese has a high tensile strength of up to 863 MPa. Steel with 12% manganese was discovered in 1882 by Robert Hadfield and is still known as Hadfield steel (mangalloy). 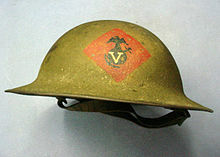 It was used for British military steel helmets and later by the U.S. military. Manganese(IV) oxide (manganese dioxide, MnO2) is used as a reagent in organic chemistry for the oxidation of benzylic alcohols (where the hydroxyl group is adjacent to an aromatic ring). Manganese dioxide has been used since antiquity to oxidize and neutralize the greenish tinge in glass from trace amounts of iron contamination. MnO2 is also used in the manufacture of oxygen and chlorine and in drying black paints. In some preparations, it is a brown pigment for paint and is a constituent of natural umber. Manganese(IV) oxide was used in the original type of dry cell battery as an electron acceptor from zinc, and is the blackish material in carbon–zinc type flashlight cells. The manganese dioxide is reduced to the manganese oxide-hydroxide MnO(OH) during discharging, preventing the formation of hydrogen at the anode of the battery. The metal is occasionally used in coins; until 2000, the only United States coin to use manganese was the "wartime" nickel from 1942 to 1945. An alloy of 75% copper and 25% nickel was traditionally used for the production of nickel coins. 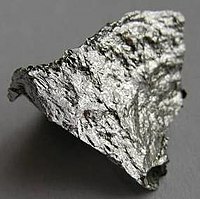 However, because of shortage of nickel metal during the war, it was substituted by more available silver and manganese, thus resulting in an alloy of 56% copper, 35% silver and 9% manganese. Since 2000, dollar coins, for example the Sacagawea dollar and the Presidential $1 coins, are made from a brass containing 7% of manganese with a pure copper core. In both cases of nickel and dollar, the use of manganese in the coin was to duplicate the electromagnetic properties of a previous identically sized and valued coin in the mechanisms of vending machines. In the case of the later U.S. dollar coins, the manganese alloy was intended to duplicate the properties of the copper/nickel alloy used in the previous Susan B. Anthony dollar. Manganese compounds have been used as pigments and for the coloring of ceramics and glass. The brown color of ceramic is sometimes the result of manganese compounds. In the glass industry, manganese compounds are used for two effects. Manganese(III) reacts with iron(II) to induce a strong green color in glass by forming less-colored iron(III) and slightly pink manganese(II), compensating for the residual color of the iron(III). Larger quantities of manganese are used to produce pink colored glass. Tetravalent manganese is used as an activator in red-emitting phosphors. While many compounds are known which show luminescence, the majority are not used in commercial application due to low efficiency or deep red emission. However, several Mn4+ activated fluorides were reported as potential red-emitting phosphors for warm-white LEDs. But to this day, only K2SiF6:Mn4+ is commercially available for use in warm-white LEDs. Manganese oxide is also used in Portland cement mixtures. Manganese is an essential human dietary element. It is present as a coenzyme in several biological processes, which include macronutrient metabolism, bone formation, free radical defense systems.It is a critical component in dozens of proteins and enzymes. The human body contains about 12 mg of manganese, mostly in the bones. The soft tissue remainder is concentrated in the liver and kidneys. In the human brain, the manganese is bound to manganese metalloproteins, most notably glutamine synthetase in astrocytes. Excessive exposure or intake may lead to a condition known as manganism, a neurodegenerative disorder that causes dopaminergic neuronal death and symptoms similar to Parkinson's disease. The classes of enzymes that have manganese cofactors is large and includes oxidoreductases, transferases, hydrolases, lyases, isomerases, ligases, lectins, and integrins. The reverse transcriptases of many retroviruses (though not lentiviruses such as HIV) contain manganese. 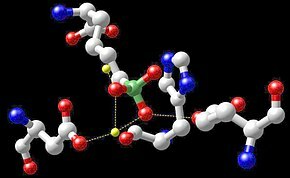 The best-known manganese-containing polypeptides may be arginase, the diphtheria toxin, and Mn-containing superoxide dismutase (Mn-SOD). Manganese is also important in photosynthetic oxygen evolution in chloroplasts in plants. The oxygen-evolving complex (OEC) is a part of photosystem II contained in the thylakoid membranes of chloroplasts; it is responsible for the terminal photooxidation of water during the light reactions of photosynthesis, and has a metalloenzyme core containing four atoms of manganese. To fulfill this requirement, most broad-spectrum plant fertilizers contain manganese. The U.S. Institute of Medicine (IOM) updated Estimated Average Requirements (EARs) and Recommended Dietary Allowances (RDAs) for minerals in 2001. For manganese there was not sufficient information to set EARs and RDAs, so needs are described as estimates for Adequate Intakes (AIs). As for safety, the IOM sets Tolerable upper intake levels (ULs) for vitamins and minerals when evidence is sufficient. In the case of manganese the adult UL is set at 11 mg/day. Collectively the EARs, RDAs, AIs and ULs are referred to as Dietary Reference Intakes (DRIs). Manganese deficiency is rare. The European Food Safety Authority (EFSA) refers to the collective set of information as Dietary Reference Values, with Population Reference Intake (PRI) instead of RDA, and Average Requirement instead of EAR. AI and UL defined the same as in United States. For people ages 15 and older the AI is set at 3.0 mg/day. AIs for pregnancy and lactation is 3.0 mg/day. For children ages 1–14 years the AIs increase with age from 0.5 to 2.0 mg/day. The adult AIs are higher than the U.S. RDAs. The EFSA reviewed the same safety question and decided that there was insufficient information to set a UL. For U.S. food and dietary supplement labeling purposes the amount in a serving is expressed as a percent of Daily Value (%DV). For manganese labeling purposes 100% of the Daily Value was 2.0 mg, but as of May 27, 2016 it was revised to 2.3 mg to bring it into agreement with the RDA. A table of the old and new adult Daily Values is provided at Reference Daily Intake. Food and supplement companies have until January 1, 2020 to comply with the change. Permanganate exhibits a higher toxicity than manganese(II) compounds. The fatal dose is about 10 g, and several fatal intoxications have occurred. The strong oxidative effect leads to necrosis of the mucous membrane. For example, the esophagus is affected if the permanganate is swallowed. Only a limited amount is absorbed by the intestines, but this small amount shows severe effects on the kidneys and on the liver. Manganese exposure in United States is regulated by the Occupational Safety and Health Administration (OSHA). People can be exposed to manganese in the workplace by breathing it in or swallowing it. OSHA has set the legal limit (permissible exposure limit) for manganese exposure in the workplace as 5 mg/m3 over an 8-hour workday. The National Institute for Occupational Safety and Health (NIOSH) has set a recommended exposure limit (REL) of 1 mg/m3 over an 8-hour workday and a short term limit of 3 mg/m3. At levels of 500 mg/m3, manganese is immediately dangerous to life and health. Waterborne manganese has a greater bioavailability than dietary manganese. According to results from a 2010 study, higher levels of exposure to manganese in drinking water are associated with increased intellectual impairment and reduced intelligence quotients in school-age children. It is hypothesized that long-term exposure due to inhaling the naturally occurring manganese in shower water puts up to 8.7 million Americans at risk. However, data indicates that the human body can recover from certain adverse effects of overexposure to manganese if the exposure is stopped and the body can clear the excess. Methylcyclopentadienyl manganese tricarbonyl (MMT) is a gasoline additive used to replace lead compounds for unleaded gasolines to improve the octane rating of low octane petroleum distillates. It reduces engine knock agent through the action of the carbonyl groups. Fuels containing manganese tend to form manganese carbides, which damage exhaust valves. Compared to 1953, levels of manganese in air have dropped. Many racing competitions specifically ban manganese compounds in racing fuel for carts and minibikes. MMT contains 24.4–25.2% manganese. Elevated atmospheric manganese concentrations are strongly correlated with automobile traffic density. The Level of manganese emitted by MMT fuels has been found to be safe for the general population and vulnerable groups such as infants and the elderly by the EPA and European and Canadian environmental agencies. The tobacco plant readily absorbs and accumulates heavy metals such as manganese from the surrounding soil into its leaves. These are subsequently inhaled during tobacco smoking. While manganese is a constituent of tobacco smoke, studies have largely concluded that concentrations are not hazardous for human health. Manganism is a biphasic disorder. In its early stages, an intoxicated person may experience depression, mood swings, compulsive behaviors, and psychosis. Early neurological symptoms give way to late-stage manganism, which resembles Parkinson's disease. Symptoms include weakness, monotone and slowed speech, an expressionless face, tremor, forward-leaning gait, inability to walk backwards without falling, rigidity, and general problems with dexterity, gait and balance. Unlike Parkinson's disease, manganism is not associated with loss of the sense of smell and patients are typically unresponsive to treatment with L-DOPA. Symptoms of late-stage manganism become more severe over time even if the source of exposure is removed and brain manganese levels return to normal. Chronic manganese exposure has been shown to produce a parkinsonism-like illness characterized by movement abnormalities. This condition is not responsive to typical therapies used in the treatment of PD, suggesting an alternative pathway than the typical dopaminergic loss within the substantia nigra. Manganese may accumulate in the basal ganglia, leading to the abnormal movements. A mutation of the SLC30A10 gene, a manganese efflux transporter necessary for decreasing intracellular Mn, has been linked with the development of this Parkinsonism-like disease. The Lewy bodies typical to PD are not seen in Mn-induced parkinsonism. Animal experiments have given the opportunity to examine the consequences of manganese overexposure under controlled conditions. In (non-aggressive) rats, manganese induces mouse-killing behavior. Several recent studies attempt to examine the effects of chronic low-dose manganese overexposure on child development. The earliest study was conducted in the Chinese province of Shanxi. Drinking water there had been contaminated through improper sewage irrigation and contained 240–350 µg Mn/L. Although Mn concentrations at or below 300 µg Mn/L were considered safe at the time of the study by the US EPA and 400 µg Mn/L by the World Health Organization, the 92 children sampled (between 11 and 13 years of age) from this province displayed lower performance on tests of manual dexterity and rapidity, short-term memory, and visual identification, compared to children from an uncontaminated area. More recently, a study of 10-year-old children in Bangladesh showed a relationship between Mn concentration in well water and diminished IQ scores. A third study conducted in Quebec examined school children between the ages of 6 and 15 living in homes that received water from a well containing 610 µg Mn/L; controls lived in homes that received water from a 160 µg Mn/L well. Children in the experimental group showed increased hyperactive and oppositional behavior. The current maximum safe concentration under EPA rules is 50 µg Mn/L. A protein called DMT1 is the major transporter in manganese absorption from the intestine, and may be the major transporter of manganese across the blood–brain barrier. DMT1 also transports inhaled manganese across the nasal epithelium. The proposed mechanism for manganese toxicity is that dysregulation leads to oxidative stress, mitochondrial dysfunction, glutamate-mediated excitoxicity, and aggregation of proteins. ^ a b c d Holleman, Arnold F.; Wiberg, Egon; Wiberg, Nils (1985). "Mangan". Lehrbuch der Anorganischen Chemie (in German) (91–100 ed.). Walter de Gruyter. pp. 1110–1117. ISBN 978-3-11-007511-3. ^ Lide, David R. (2004). Magnetic susceptibility of the elements and inorganic compounds, in Handbook of Chemistry and Physics (PDF). CRC press. ISBN 978-0-8493-0485-9. Archived from the original (PDF) on 3 March 2011. ^ Schaefer, Jeorg; Faestermann, Thomas; Herzog, Gregory F.; Knie, Klaus; Korschinek, Gunther; Masarik, Jozef; Meier, Astrid; Poutivtsev, Michail; Rugel, Georg; Schlüchter, Christian; Serifiddin, Feride; Winckler, Gisela (2006). "Terrestrial manganese-53 – A new monitor of Earth surface processes". Earth and Planetary Science Letters. 251 (3–4): 334–345. Bibcode:2006E&PSL.251..334S. doi:10.1016/j.epsl.2006.09.016. ^ "Ch. 20". Shriver and Atkins' Inorganic Chemistry. Oxford University Press. 2010. ISBN 978-0-19-923617-6. ^ a b Saha, Amrita; Majumdar, Partha; Goswami, Sreebrata (2000). "Low-spin manganese(II) and cobalt(III) complexes of N-aryl-2-pyridylazophenylamines: new tridentate N,N,N-donors derived from cobalt mediated aromatic ring amination of 2-(phenylazo)pyridine. Crystal structure of a manganese(II) complex". Journal of the Chemical Society, Dalton Transactions (11): 1703–1708. doi:10.1039/a909769d. ^ Rayner-Canham, Geoffrey and Overton, Tina (2003) Descriptive Inorganic Chemistry, Macmillan, p. 491, ISBN 0-7167-4620-4. ^ Schmidt, Max (1968). "VII. Nebengruppe". Anorganische Chemie II (in German). Wissenschaftsverlag. pp. 100–109. ^ Temple, R. B.; Thickett, G. W. (1972). "The formation of manganese(v) in molten sodium nitrite" (PDF). Australian Journal of Chemistry. 25 (3): 55. Bibcode:2005AJCh...58...69S. doi:10.1071/CH9720655. ^ Luft, J. H. (1956). "Permanganate – a new fixative for electron microscopy". Journal of Biophysical and Biochemical Cytology. 2 (6): 799–802. doi:10.1083/jcb.2.6.799. PMC 2224005. PMID 13398447. ^ Chalmin, Emilie; Menu, Michel; Vignaud, Colette (2003). "Analysis of rock art painting and technology of Palaeolithic painters". Measurement Science and Technology. 14 (9): 1590–1597. doi:10.1088/0957-0233/14/9/310. ^ Chalmin, E.; Vignaud, C.; Salomon, H.; Farges, F.; Susini, J.; Menu, M. (2006). "Minerals discovered in paleolithic black pigments by transmission electron microscopy and micro-X-ray absorption near-edge structure" (PDF). Applied Physics A. 83 (12): 213–218. Bibcode:2006ApPhA..83..213C. doi:10.1007/s00339-006-3510-7. ^ a b c Mccray, W. Patrick (1998). "Glassmaking in renaissance Italy: The innovation of venetian cristallo". JOM. 50 (5): 14–19. Bibcode:1998JOM....50e..14M. doi:10.1007/s11837-998-0024-0. ^ Rancke-Madsen, E. (1975). "The Discovery of an Element". Centaurus. 19 (4): 299–313. Bibcode:1975Cent...19..299R. doi:10.1111/j.1600-0498.1975.tb00329.x. ^ Alessio, L.; Campagna, M.; Lucchini, R. (2007). "From lead to manganese through mercury: mythology, science, and lessons for prevention". American Journal of Industrial Medicine. 50 (11): 779–787. doi:10.1002/ajim.20524. PMID 17918211. ^ a b c Couper, John (1837). "On the effects of black oxide of manganese when inhaled into the lungs". Br. Ann. Med. Pharm. Vital. Stat. Gen. Sci. 1: 41–42. ^ Olsen, Sverre E.; Tangstad, Merete; Lindstad, Tor (2007). "History of omanganese". Production of Manganese Ferroalloys. Tapir Academic Press. pp. 11–12. ISBN 978-82-519-2191-6. ^ a b Preisler, Eberhard (1980). "Moderne Verfahren der Großchemie: Braunstein". Chemie in Unserer Zeit (in German). 14 (5): 137–148. doi:10.1002/ciuz.19800140502. ^ a b c d e Emsley, John (2001). "Manganese". Nature's Building Blocks: An A-Z Guide to the Elements. Oxford, UK: Oxford University Press. pp. 249–253. ISBN 978-0-19-850340-8. ^ a b c d Corathers, Lisa A. (2009). "Mineral Commodity Summaries 2009: Manganese" (PDF). United States Geological Survey. Retrieved 30 April 2009. ^ "The CIA secret on the ocean floor". BBC News. 19 February 2018. Retrieved 3 May 2018. ^ Elliott, R; Coley, K; Mostaghel, S; Barati, M (2018). "Review of Manganese Processing for Production of TRIP/TWIP Steels, Part 1: Current Practice and Processing Fundamentals". JOM. 70 (5): 680–690. Bibcode:2018JOM...tmp...63E. doi:10.1007/s11837-018-2769-4. ^ a b Corathers, Lisa A. (June 2008). "2006 Minerals Yearbook: Manganese" (PDF). Washington, D.C.: United States Geological Survey. Retrieved 30 April 2009. ^ Corathers, L. A.; Machamer, J. F. (2006). "Manganese". Industrial Minerals & Rocks: Commodities, Markets, and Uses (7th ed.). SME. pp. 631–636. ISBN 978-0-87335-233-8. ^ Chow, Norman; Nacu, Anca; Warkentin, Doug; Aksenov, Igor & Teh, Hoe (2010). "The Recovery of Manganese from low grade resources: bench scale metallurgical test program completed" (PDF). Kemetco Research Inc. Archived from the original (PDF) on 2 February 2012. ^ "Project Azorian: The CIA's Declassified History of the Glomar Explorer". National Security Archive at George Washington University. 12 February 2010. Retrieved 18 September 2013. ^ Verhoeven, John D. (2007). Steel metallurgy for the non-metallurgist. Materials Park, Ohio: ASM International. pp. 56–57. ISBN 978-0-87170-858-8. ^ Stansbie, John Henry (2007). Iron and Steel. Read Books. pp. 351–352. ISBN 978-1-4086-2616-0. ^ Brady, George S.; Clauser, Henry R.; Vaccari. John A. (2002). Materials Handbook: an encyclopedia for managers, technical professionals, purchasing and production managers, technicians, and supervisors. New York, NY: McGraw-Hill. pp. 585–587. ISBN 978-0-07-136076-0. ^ Tweedale, Geoffrey (1985). "Sir Robert Abbott Hadfield F.R.S. (1858–1940), and the Discovery of Manganese Steel Geoffrey Tweedale". Notes and Records of the Royal Society of London. 40 (1): 63–74. doi:10.1098/rsnr.1985.0004. JSTOR 531536. ^ "Chemical properties of 2024 aluminum allow". Metal Suppliers Online, LLC. Retrieved 30 April 2009. ^ a b Kaufman, John Gilbert (2000). "Applications for Aluminium Alloys and Tempers". Introduction to aluminum alloys and tempers. ASM International. pp. 93–94. ISBN 978-0-87170-689-8. ^ Leigh A. Graham; Alison R. Fout; Karl R. Kuehne; Jennifer L. White; Bhaskar Mookherji; Fred M. Marks; Glenn P. A. Yap; Lev N. Zakharov; Arnold L. Rheingold & Daniel Rabinovich (2005). "Manganese(I) poly(mercaptoimidazolyl)borate complexes: spectroscopic and structural characterization of MnH–B interactions in solution and in the solid state". Dalton Transactions (1): 171–180. doi:10.1039/b412280a. PMID 15605161. ^ a b Dell, R. M. (2000). "Batteries fifty years of materials development". Solid State Ionics. 134: 139–158. doi:10.1016/S0167-2738(00)00722-0. ^ Kuwahara, Raymond T.; Skinner III, Robert B.; Skinner Jr., Robert B. (2001). "Nickel coinage in the United States". Western Journal of Medicine. 175 (2): 112–114. doi:10.1136/ewjm.175.2.112. PMC 1071501. PMID 11483555. ^ "Design of the Sacagawea dollar". United States Mint. Retrieved 4 May 2009. ^ Shepard, Anna Osler (1956). "Manganese and Iron–Manganese Paints". Ceramics for the Archaeologist. Carnegie Institution of Washington. pp. 40–42. ISBN 978-0-87279-620-1. ^ Chen, Daquin; Zhou, Yang; Zhong, Jiasong (2016). "A review on Mn4+ activators in solids for warm white light-emitting diodes". RSC Advances. 6 (89): 86285–86296. doi:10.1039/C6RA19584A. ^ Baur, Florian; Jüstel, Thomas (2016). "Dependence of the optical properties of Mn4+ activated A2Ge4O9 (A=K,Rb) on temperature and chemical environment". Journal of Luminescence. 177: 354–360. Bibcode:2016JLum..177..354B. doi:10.1016/j.jlumin.2016.04.046. ^ Jansen, T.; Gorobez, J.; Kirm, M.; Brik, M. G.; Vielhauer, S.; Oja, M.; Khaidukov, N. M.; Makhov, V. N.; Jüstel, T. (1 January 2018). "Narrow Band Deep Red Photoluminescence of Y2Mg3Ge3O12:Mn4+,Li+ Inverse Garnet for High Power Phosphor Converted LEDs". ECS Journal of Solid State Science and Technology. 7 (1): R3086–R3092. doi:10.1149/2.0121801jss. ^ Jansen, Thomas; Baur, Florian; Jüstel, Thomas (2017). "Red emitting K2NbF7:Mn4+ and K2TaF7:Mn4+ for warm-white LED applications". Journal of Luminescence. 192: 644–652. Bibcode:2017JLum..192..644J. doi:10.1016/j.jlumin.2017.07.061. ^ Zhou, Zhi; Zhou, Nan; Xia, Mao; Yokoyama, Meiso; Hintzen, H. T. (Bert) (6 October 2016). "Research progress and application prospects of transition metal Mn4+-activated luminescent materials". Journal of Materials Chemistry C. 4 (39): 9143–9161. Bibcode:2013JMCC....1.4300D. doi:10.1039/c6tc02496c. ^ "TriGain LED phosphor system using red Mn4+-doped complex fluorides" (PDF). GE Global Research. Retrieved 28 April 2017. ^ Erikson, Keith M.; Ascher, Michael (2019). "Chapter 10. Manganese: Its Role in Disease and Health". In Sigel, Astrid; Freisinger, Eva; Sigel, Roland K. O.; Carver, Peggy L. (Guest editor) (eds.). Essential Metals in Medicine:Therapeutic Use and Toxicity of Metal Ions in the Clinic. Metal Ions in Life Sciences. 19. Berlin: de Gruyter GmbH. pp. 253–266. doi:10.1515/9783110527872-016. ISBN 978-3-11-052691-2. ^ Takeda, A. (2003). "Manganese action in brain function". Brain Research Reviews. 41 (1): 79–87. doi:10.1016/S0165-0173(02)00234-5. PMID 12505649. ^ Silva Avila, Daiana; Luiz Puntel, Robson; Aschner, Michael (2013). "Chapter 7. Manganese in Health and Disease". In Astrid Sigel; Helmut Sigel; Roland K. O. Sigel (eds.). Interrelations between Essential Metal Ions and Human Diseases. Metal Ions in Life Sciences. 13. Springer. pp. 199–227. doi:10.1007/978-94-007-7500-8_7. ISBN 978-94-007-7499-5. PMID 24470093. ^ Law, N.; Caudle, M.; Pecoraro, V. (1998). Manganese Redox Enzymes and Model Systems: Properties, Structures, and Reactivity. Advances in Inorganic Chemistry. 46. p. 305. doi:10.1016/S0898-8838(08)60152-X. ISBN 9780120236466. ^ Umena, Yasufumi; Kawakami, Keisuke; Shen, Jian-Ren; Kamiya, Nobuo (May 2011). "Crystal structure of oxygen-evolving photosystem II at a resolution of 1.9 Å" (PDF). Nature. 473 (7345): 55–60. Bibcode:2011Natur.473...55U. doi:10.1038/nature09913. PMID 21499260. ^ Dismukes, G. Charles; Willigen, Rogier T. van (2006). "Manganese: The Oxygen-Evolving Complex & Models". Encyclopedia of Inorganic Chemistry. doi:10.1002/0470862106.ia128. ISBN 978-0470860786. ^ a b Institute of Medicine (US) Panel on Micronutrients (2001). "Manganese". Dietary Reference Intakes for Vitamin A, Vitamin K, Arsenic, Boron, Chromium, Chromium, Iodine, Iron, Manganese, Molybdenum, Nickel, Silicon, Vanadium, and Chromium. National Academy Press. pp. 394–419. ISBN 978-0-309-07279-3. PMID 25057538. ^ See "Manganese". Micronutrient Information Center. Oregon State University Linus Pauling Institute. 23 April 2014. ^ "Changes to the Nutrition Facts Panel – Compliance Date"
^ Hasan, Heather (2008). Manganese. The Rosen Publishing Group. p. 31. ISBN 978-1-4042-1408-8. ^ "Manganese Chemical Background". Metcalf Institute for Marine and Environmental Reporting University of Rhode Island. April 2006. Archived from the original on 28 August 2006. Retrieved 30 April 2008. ^ "Risk Assessment Information System Toxicity Summary for Manganese". Oak Ridge National Laboratory. Retrieved 23 April 2008. ^ Ong, K. L.; Tan, T. H.; Cheung, W. L. (1997). "Potassium permanganate poisoning – a rare cause of fatal self poisoning". Emergency Medicine Journal. 14 (1): 43–45. doi:10.1136/emj.14.1.43. PMC 1342846. PMID 9023625. ^ Young, R.; Critchley, J. A.; Young, K. K.; Freebairn, R. C.; Reynolds, A. P.; Lolin, Y. I. (1996). "Fatal acute hepatorenal failure following potassium permanganate ingestion". Human & Experimental Toxicology. 15 (3): 259–61. doi:10.1177/096032719601500313. PMID 8839216. ^ a b "Safety and Health Topics: Manganese Compounds (as Mn)". U.S. Occupational Safety and Health Administration. ^ "NIOSH Pocket Guide to Chemical Hazards – Manganese compounds and fume (as Mn)". Centers for Disease Control. Retrieved 19 November 2015. ^ Yin, Z.; Jiang, H.; Lee, E. S.; Ni, M.; Erikson, K. M.; Milatovic, D.; Bowman, A. B.; Aschner, M. (2010). "Ferroportin is a manganese-responsive protein that decreases manganese cytotoxicity and accumulation" (PDF). Journal of Neurochemistry. 112 (5): 1190–8. Bibcode:2006JNeur..26.9606G. doi:10.1111/j.1471-4159.2009.06534.x. PMC 2819584. PMID 20002294. ^ a b Bouchard, M. F; Sauvé, S; Barbeau, B; Legrand, M; Bouffard, T; Limoges, E; Bellinger, D. C; Mergler, D (2011). "Intellectual impairment in school-age children exposed to manganese from drinking water". Environmental Health Perspectives. 119 (1): 138–143. doi:10.1289/ehp.1002321. PMC 3018493. PMID 20855239. Retrieved 11 December 2010. ^ Barceloux, Donald; Barceloux, Donald (1999). "Manganese". Clinical Toxicology. 37 (2): 293. doi:10.1081/CLT-100102427. ^ Devenyi, A. G; Barron, T. F; Mamourian, A. C (1994). "Dystonia, hyperintense basal ganglia, and high whole blood manganese levels in Alagille's syndrome". Gastroenterology. 106 (4): 1068–71. PMID 8143974. ^ Agency for Toxic Substances and Disease Registry (2012) 6. Potential for human exposure, in Toxicological Profile for Manganese, Atlanta, GA: U.S. Department of Health and Human Services. ^ Pourkhabbaz, A; Pourkhabbaz, H (2012). "Investigation of Toxic Metals in the Tobacco of Different Iranian Cigarette Brands and Related Health Issues". Iranian Journal of Basic Medical Sciences. 15 (1): 636–644. PMC 3586865. PMID 23493960. ^ Talhout, Reinskje; Schulz, Thomas; Florek, Ewa; Van Benthem, Jan; Wester, Piet; Opperhuizen, Antoon (2011). "Hazardous Compounds in Tobacco Smoke". International Journal of Environmental Research and Public Health. 8 (12): 613–628. doi:10.3390/ijerph8020613. PMC 3084482. PMID 21556207. ^ Bernhard, David; Rossmann, Andrea; Wick, Georg (2005). "Metals in cigarette smoke". IUBMB Life. 57 (12): 805–9. doi:10.1080/15216540500459667. PMID 16393783. ^ Baselt, R. (2008) Disposition of Toxic Drugs and Chemicals in Man, 8th edition, Biomedical Publications, Foster City, CA, pp. 883–886, ISBN 0-9626523-7-7. ^ Normandin, Louise; Hazell, A. S. (2002). "Manganese neurotoxicity: an update of pathophysiologic mechanisms". Metabolic Brain Disease. 17 (4): 375–87. doi:10.1023/A:1021970120965. PMID 12602514. ^ a b Cersosimo, M. G.; Koller, W.C. (2007). "The diagnosis of manganese-induced parkinsonism". NeuroToxicology. 27 (3): 340–346. doi:10.1016/j.neuro.2005.10.006. PMID 16325915. ^ Lu, C. S.; Huang, C.C; Chu, N.S. ; Calne, D.B. (1994). "Levodopa failure in chronic manganism". Neurology. 44 (9): 1600–1602. doi:10.1212/WNL.44.9.1600. PMID 7936281. ^ a b Guilarte TR, Gonzales KK (August 2015). "Manganese-Induced Parkinsonism Is Not Idiopathic Parkinson's Disease: Environmental and Genetic Evidence". Toxicological Sciences (Review). 146 (2): 204–12. doi:10.1093/toxsci/kfv099. PMC 4607750. PMID 26220508. ^ a b Kwakye GF, Paoliello MM, Mukhopadhyay S, Bowman AB, Aschner M (July 2015). "Manganese-Induced Parkinsonism and Parkinson's Disease: Shared and Distinguishable Features". Int J Environ Res Public Health (Review). 12 (7): 7519–40. doi:10.3390/ijerph120707519. PMC 4515672. PMID 26154659. ^ Peres TV, Schettinger MR, Chen P, Carvalho F, Avila DS, Bowman AB, Aschner M (November 2016). "Manganese-induced neurotoxicity: a review of its behavioral consequences and neuroprotective strategies". BMC Pharmacology & Toxicology (Review). 17 (1): 57. doi:10.1186/s40360-016-0099-0. PMC 5097420. PMID 27814772. ^ Lazrishvili, I.; et al. (2016). "Manganese loading induces mouse-killing behaviour in nonaggressive rats". Journal of Biological Physics and Chemistry. 16 (3): 137–141. doi:10.4024/31LA14L.jbpc.16.03. ^ "Drinking Water Contaminants". US EPA. Retrieved 2 February 2015.